A customer called about a sewer force main on the Route 17 Northbound side in Hasbrouck Heights about a sewer leak. The building had a pump which had a pipe that went under 17 to the Southbound side then went South approximately 2000 feet then to a manhole on Ottawa Avenue. 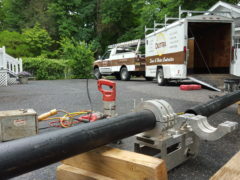 The sewer line was repaired alongside route 17 by locating broken pipes with our miniature camera. Spot repairs were done with Lasco Repair couplings to make the job easier. 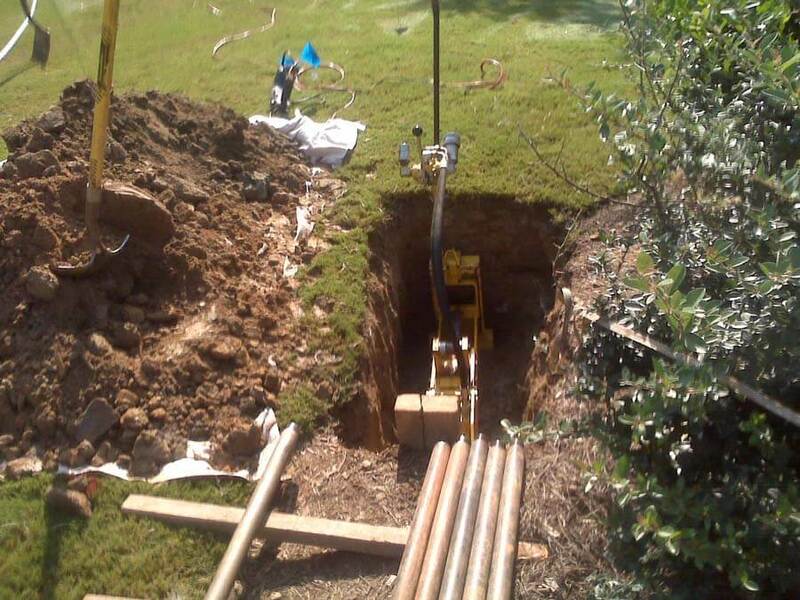 Underground Boring- is a steerable trenchless method of installing underground pipe, conduit, or cables in a shallow arc along a prescribed bore path by using a surface-launched drilling rig, with minimal impact on the surrounding area. 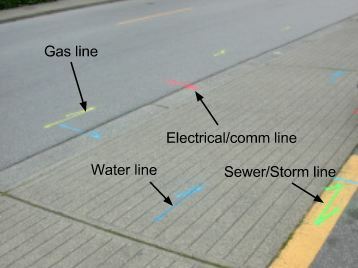 Locate the utilities that are under the highway and record the elevation according to the grade. 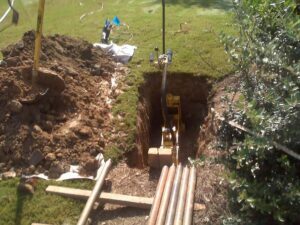 Finding the appropriate path to take to install the pipe into the existing pump. Putting the pipe going perpendicular across the highway is the best path, its the shortest path and the fastest way. 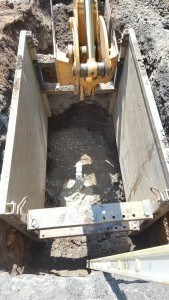 The drilling hole must be made safe with shoring to shield the machine and equipment. Installing the equipment ready to drill under the highway. Section of pipe are added to the drill to make it across the highway. The bore is able to be steered by using an above ground locator to show the operator where the cutting head it. This information will be used to decide to go deeper or change course. 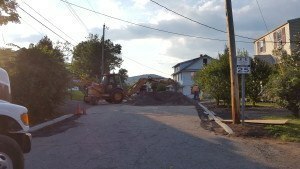 The job was able to be completed without shutting down the traffic and setting up detours. Jobs like this take time and many factors. Dutra has the technology to gather the information to get jobs like this one done properly, safely, and all in a timely manner.